Non-skid deck coatings in the past have typically been roll applied by using a napless, phenolic roller mounted on a pole, or broadcasting grit onto a painted surface. While these methods did provide a decent non-skid surface, it is a very slow, labor intensive process. Depending on the number of applicators and their skill level, a deck section could have a number of visible variations. The variations are usually ridge appearance, inconsistent coverage, as well as voids and thinly coated areas between the ridges. Pentech Inc., in conjunction with the Naval Research Laboratory, developed, tested, and is now manufacturing equipment to economically spray non-skid deck coatings. During the multiple years of development many types of pressure pots, pumps, and sprayings devices were tested, evaluated, and eliminated. This effort has resulted in a very rugged, simple to use and maintain, machine capable of spray applying all commercially available MIL-PRF 24667 non-skid coatings. 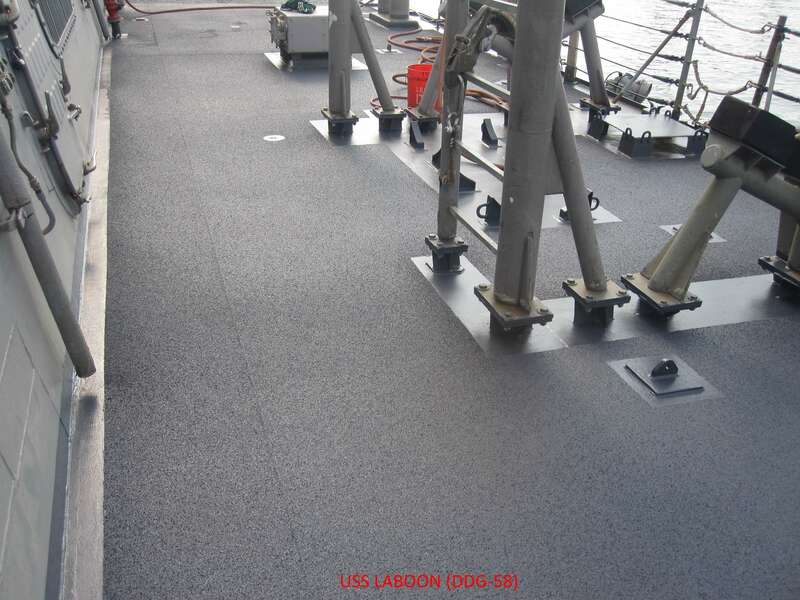 Pentech’s equipment has applied non-skid deck coatings according to Naval Specification’s aboard many Surface Combatants and Submarines. (DDG’s LSD’s, LPD’s and SSGN’s) and commercial vessels. 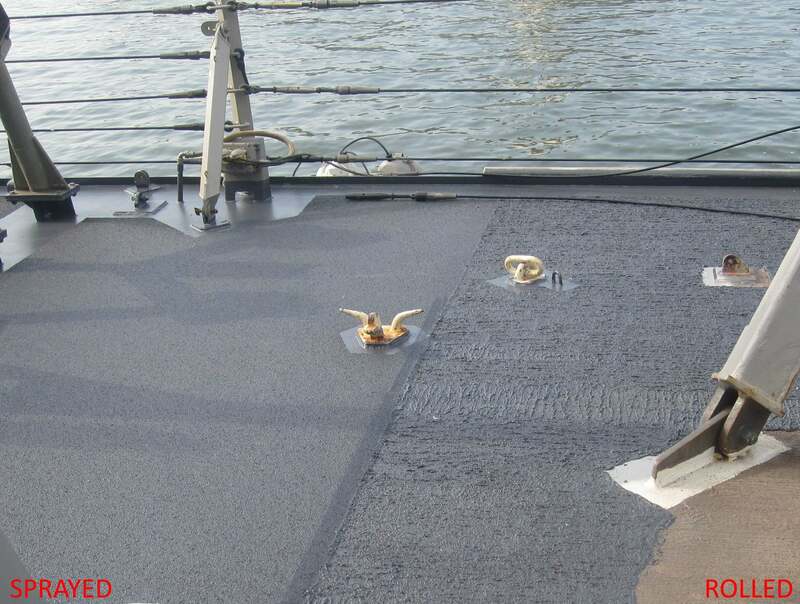 Non-skid sprayed with our equipment has shown no visible corrosion seepage after 3 years of exposure on ships decks. After 4 years of submarine service, no change in appearance or performance was reported. • Sprays a uniform textured surface. • Uniform grit height wears more evenly than the ridges and peaks in rolled non-skid. Photographs courtesy of the U.S. Naval Research Laboratory.